We use an application called “Seesaw” to give the children the agency to document their own learning and to create a meaningful digital portfolio to support their competencies. 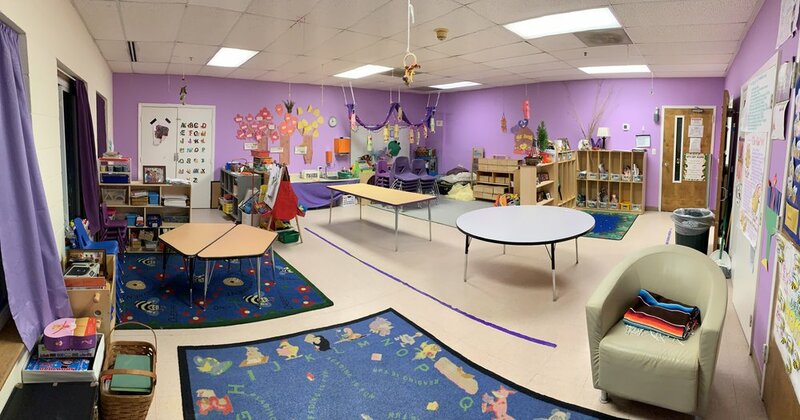 Children in our preschool program learn through play and hands-on activities in a relaxed, safe, and caring atmosphere. Our teachers use the Creative Curriculum and an online assessment resource to track each child's individual development. We provide a wide variety of activities, including number and letter projects, science, cooking, stories, dramatic play, blocks, arts-and-crafts projects, music and field trips. These activities foster the development of creativity, imagination, coordination, independence, gross and fine motor skills, and music appreciation of our children.